Rewind to the 2006 Will Smith blockbuster “The Pursuit of Happyness”. There was adorable little Jaden Smith, shootin’ hoops, being told by his dad that he could be anything he wants. Boy oh boy things have sure changed since then. Amidst Kim Kardashian’s attempts to “break the internet” with a very shiny bum, the NY Times released their interview with 16 year old Jaden and his 14 year old sister Willow that actually had the potential to to hault the internet, but butts>words. In the interview, the siblings shared some of their self-indulged wisdom and unique views on things like education and apples. Because your mind has a duality to it. So when one thought goes into your mind, it’s not just one thought, it has to bounce off both hemispheres of the brain. When you’re thinking about something happy, you’re thinking about something sad. When you think about an apple, you also think about the opposite of an apple. What appeared to be an attempt by Jaden and Willow to convince the public that they are young prophetic visionaries that are of a higher echelon might have actually backfired. Likening the world to a holographic reality, proclaiming “Whip My Hair” as a great thing, and applying the concept prana energy to explain babies’ memories did not go over well on twitter. However, Jaden has been building this public persona of someone who thinks he’s really deep for quite some time now. Okay so what are we dealing with here. Well it starts out with a boy trying to tie his shoes well dancing and moves into a PSA about speeding. A number of disjointed rhymes with no linear story followed to help solidify this track as easily one of the wackest of 2014. So with all of this as the setting for Jaden’s new album, needless to say I was excited. What was I to expect? What was Lord Jaden about to put forward? The weirdest part of all this is that, to be totally honest, “Cool Tape Vol. 2” is not even that bad. Originally released on an app, this album seemed far too exclusive and hip for me, but once it made it’s way onto DatPiff, I decided to check it out. Perhaps I should clarify this album is by no means good, but its certainly not wack. On the contrary, “Cool Tape Vol. 2” is fairly generic, sounding for the most part like a cross between Gambino and Drake. Although generic was the last thing I would expect for Jaden Smith given all of this build up, it did not come as a let down. Just a short 8 tracks, the album still gives a mix of sounds, with the opener “Fire”, a much more trap inspired sound complete with stupid lyrics like “got me flippin like a skateboard”. Following this suit is the track “Young and Reckless” that features a dubstep-y bass line. Presenting a more classic hip-hop sound that you might hear traditionalists like Joey Bada$$ or Shad on include “Keep Ya Love”, “Zoned”, and “Symba”, all of which feature a electric piano ontop of a classic hip-hop beat. 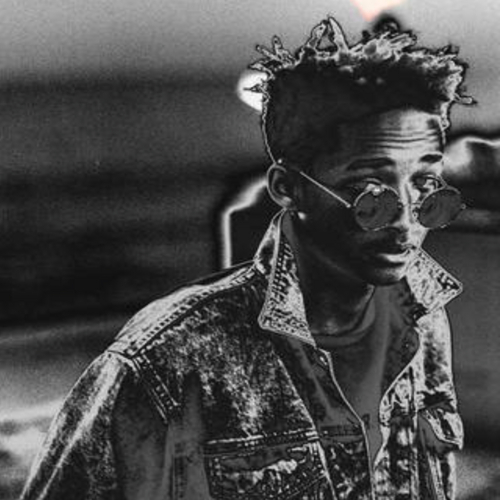 Standing out as the highlight of the album is Jaden’s 10 and a half minute cut “Let it Breate”, which tells a story of his relationship with an ex-girlfriend. The Drake influence on this one is heavy, but the track’s substance is the most cohesive and conceptual on the whole album, making its staggering 10.5 minutes somehow managable. Maybe we’ve got Jaden all wrong. Maybe he’s not as out there as we think. Though his NY Times interview suggests otherwise, “Cool Tape Vol. 2” presents a middle of the pack side of Jaden that is actually not all that bad.